My mom bought me a ziplock bag full of pre-cut squares of cotton from a local thrift shop for $4.00. The bag was full to bursting. There is quite a variety of scraps: Kaffe Fassett, children’s prints, modern, calico prints, florals. They are all patterned, there are no solids. I love using scraps. Quilts made from scraps have a wonderful sense of colour. They also remind me of how quilts were usually made by our ancestors. Small pieces of clothing that were not too worn out, were repurposed into a quilt that would be used to keep the family warm. 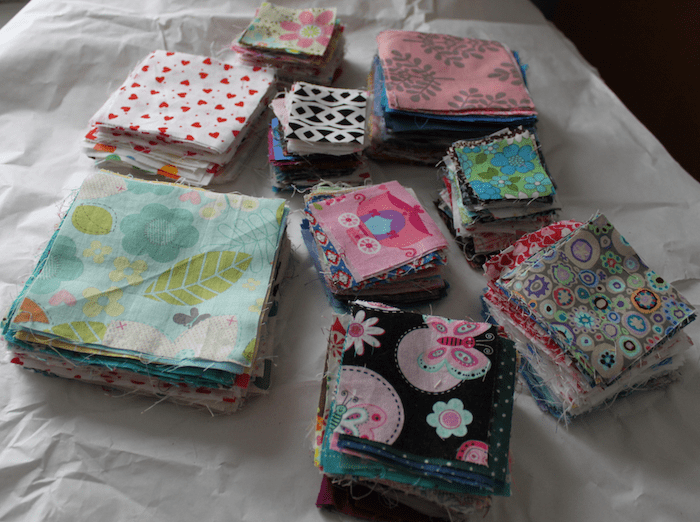 For the moment, I will add these to my stash of scraps and ponder on what to do with them. 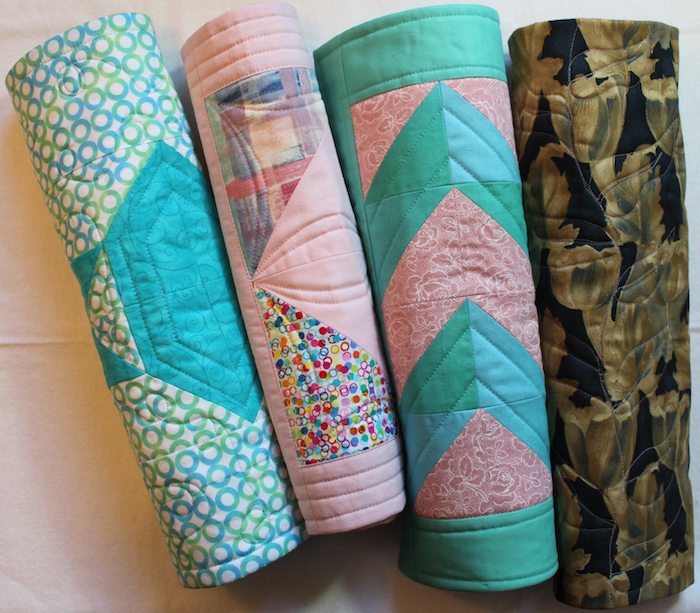 How often do you use scraps in your quilts? 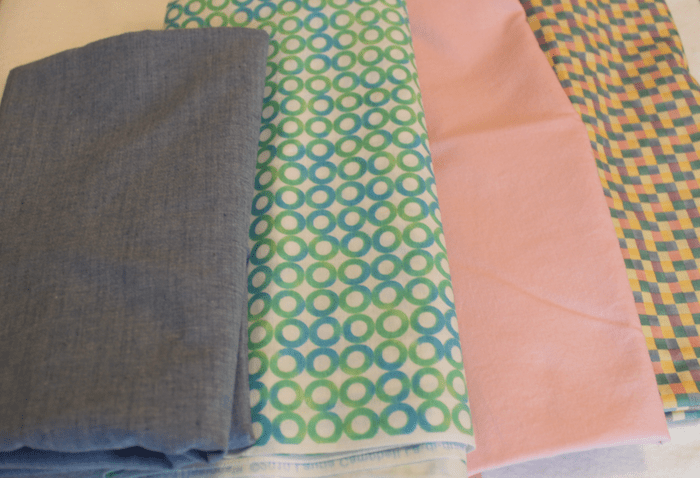 The traditional guild I belong to – Yorkshire Rose Quilters’ Guild of Toronto has asked for placemats to donate to the Meals on Wheels program. So I pulled a few partially completed blocks to start making some placemats. These half square triangles were pieced together in a workshop I took last year. 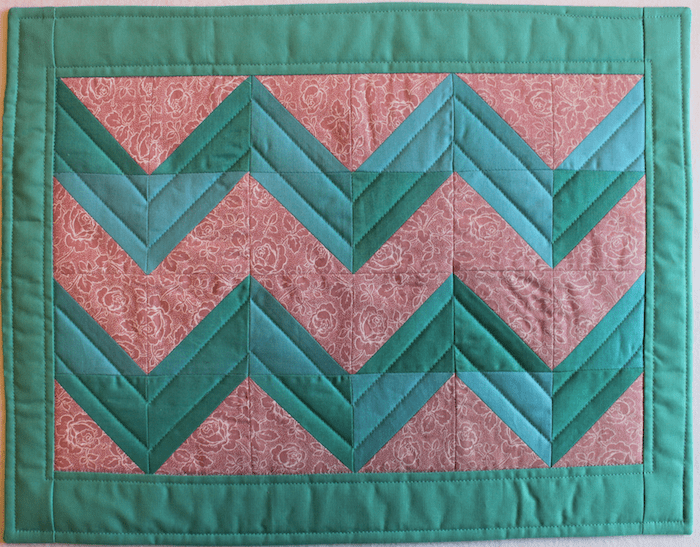 The instructor created beautiful scrap style quilts and taught us her quilting philosophy. 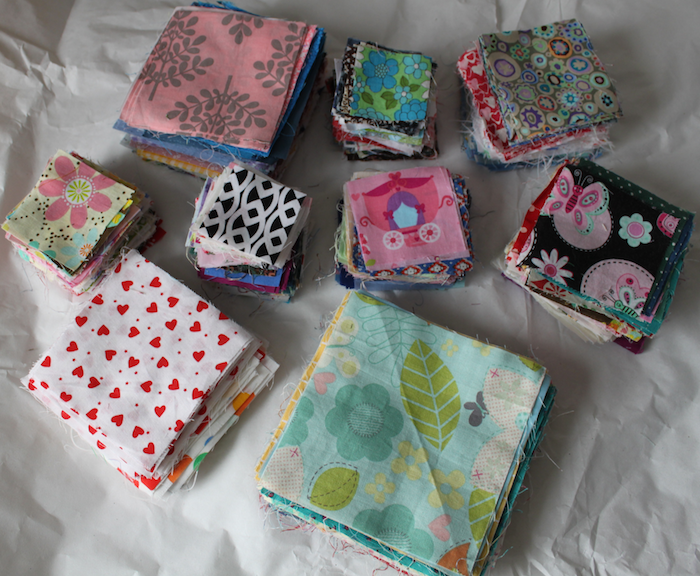 She immediately cuts leftover fabric from her current project into various sizes of squares and strips. Similar shapes and sizes are stored together. When she wants to make another quilt, she just goes to the container with the size of scraps she needs and can start piecing immediately. 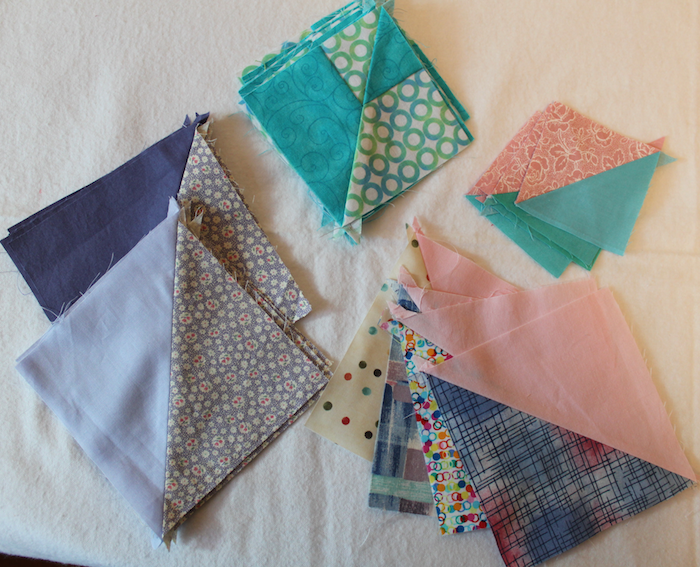 After that workshop, I went home and spent an entire afternoon cutting my scraps and organizing them. This placemat was straight line quilted with a walking foot. Using the same cotton with circles, makes the block disappear. I practiced free motion quilting on this mat. I like how the the quilting is the focus in this pink placemat. This last one was an attempt to make a placemat that wasn’t too girly! I free motion quilted columns of leaves. I didn’t use the purple half square triangles because they were too long and for the size of placemat I wanted to make. So I will leave them for another project. Meals on Wheels will give these placemats to their clients with their Holiday meal. QUILTsocial – a new Canadian ezine, blog and more! 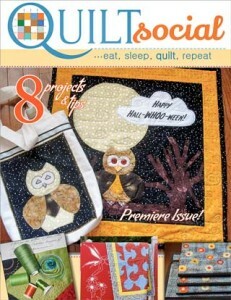 QUILTsocial is a new Canadian eZine for all of us obsessed with quilting. It’s a blog, a weekly bulletin, a monthly newsletter, and a quarterly e-magazine, from the publishers of Needle Pulling Thread. The editor, Carla, asks: When does an obsession become therapy? 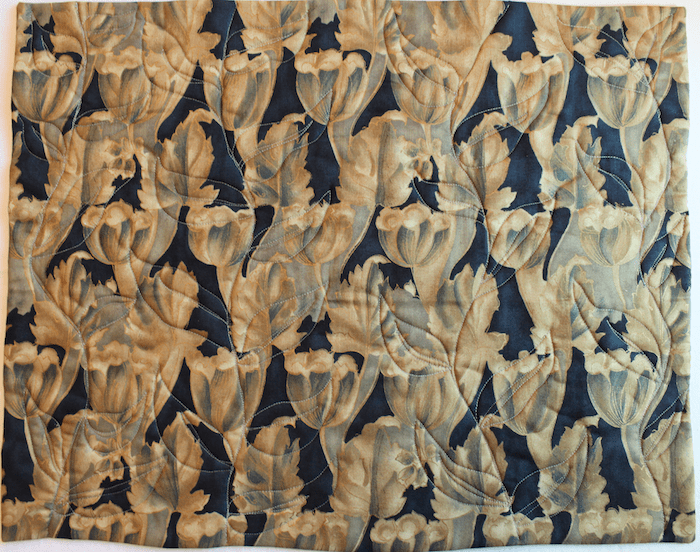 If quilting is one of the releases we have from the stresses of life, it’s therapeutic isn’t it? Doing something creative takes us away from our ourselves and let’s us concentrate our energies into something we enjoy and gives us pleasure. QUILTsocial magazine is for all levels of quilters, with patterns, tutorials, and showcasing new techniques. 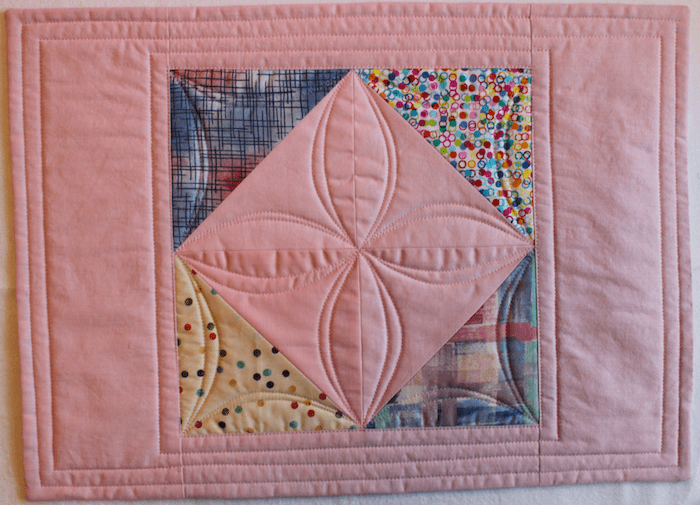 Regular contributors as well as guest bloggers will share their knowledge and love of quilting. I have already used the tutorial by Elaine Theriault: Crazy about zippered pouches to create a couple of bags for the Toronto Modern Quilt Guild pouch swap. 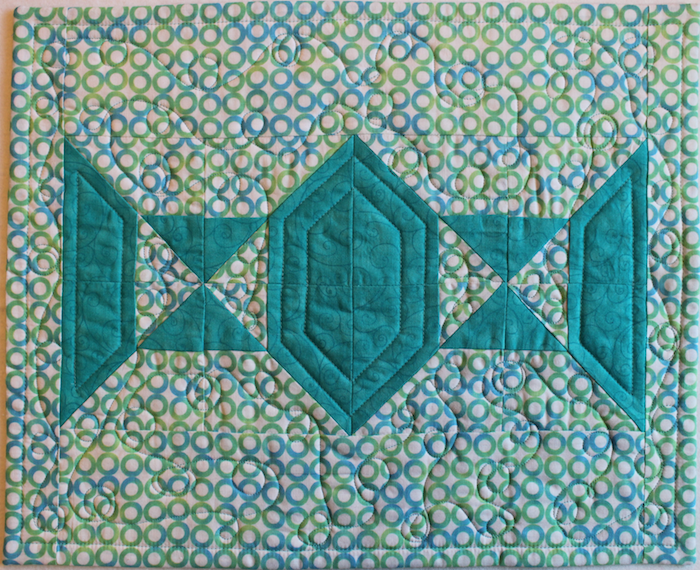 It’s a three-way across Canada swap with the Victoria and Maritime Modern Quilt Guilds. I will also be using Jennifer Houlden’s On-the-Go place-mat tutorial to create some placemats for the Yorkshire Rose Quilters’ Guild Christmas outreach project for Meals on Wheels.